USPS Priority Mail Express International is a fast and cost-effective way to send packages up to 70 lbs. to over 190 countries. Deliveries sent using Priority Mail Express International service arrive at the destination address in 3–5 business days and include free pickup right from your door. The service also includes $200 in package insurance. 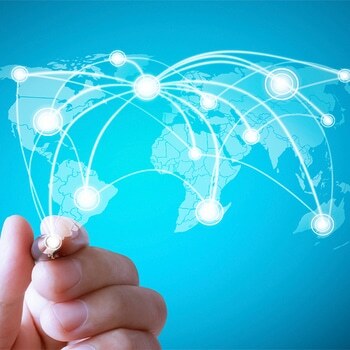 Priority Mail Express International also offers a money-back guarantee to select countries. If your package is not delivered by the guaranteed date, the USPS will refund your shipping costs. Pricing for regular Priority Mail Express International is based on the country your package is traveling to. The USPS has created 17 country price groups with costs starting at $42.00 and up for a ½ pound box traveling to Country Zone 1. The USPS also has Flat Rate pricing for Priority Mail Express International for packages up to 4 lbs. This provides an easier way to ship by eliminating the need to calculate a price or weigh your package. 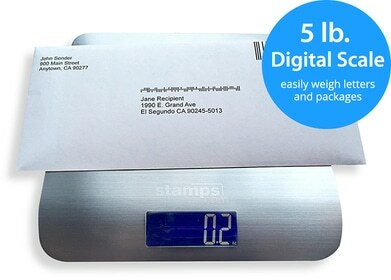 To qualify for the Flat Rate pricing, you must use the free packaging supplied by the USPS. Flat Rate Envelopes (regular, legal size and padded) cost $42.30 for delivery to Canada and $56.75 and up for all other countries the USPS delivers to. As of January 2016, the Priority Mail Express International Flat Rate Box has been discontinued. Using Priority Mail Express International is as easy as preparing a domestic shipment. Pack and address your shipment as you normally would - don’t forget to add your country to the return address. Refer to the USPS International Mail Manual online, or visit your local Post Office, to ensure the contents of your package are allowed to be shipped into the recipient’s country. If you use Stamps.com, the product restrictions window will automatically show you a list of prohibited products by country. Weigh your package in order to calculate the shipping rate. If you are a Stamps.com customer and are using the free 5 lb. USB digital scale, it will automatically calculate the cost based on your package’s weight and destination. Customs Forms are required for international shipments. You’ll need to fill out a Customs Form describing the package’s contents and value, indicating whether it’s a gift or merchandise. Customs Forms are available at your local post office. Postage Rate Discounts: Stamps.com provides great discounts of up to 5% off Priority Mail Express International compared to Post Office rates. Automated Customs Forms: Stamps.com will supply and choose the correct Customs Form based on your mail class and destination country. The software will also automatically import the delivery address into the Customs Form. Country Product Restrictions: Each country has different restrictions on what type of items can be imported. Stamps.com includes updated country restrictions for all 190 countries the USPS ships to. This allows you to know if your product is prohibited BEFORE you ship the product. No Post Office Drop Off Needed: All international Customs Forms printed from Stamps.com include the “electronic round stamp.” This electronic round stamp allows you to avoid the Post Office by providing the ability to hand your international package directly to your mail carrier from the comfort of your home or office.